Browse » Home » Swagbucks » Swagbucks Birthday Event is tomorrow! Swagbucks Birthday Event is tomorrow! 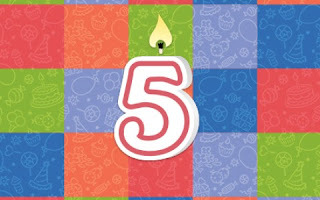 Swagbucks is turning 5 tomorrow! Be sure to be there for the celebration! Plus you can continue to earn all the usual ways, from searching to watching videos to taking surveys and more! And they're giving out not one, not two, but five $1000 cash prizes! If you're already a Swagbucks member, click here to register for your chance to win. If you aren't a member yet, click here to join Swagbucks and use the Swag Code 5THBIRTHDAY during registration to get an extra 90 Swag Bucks to start! Then click on the link above to register for the birthday event. Can't wait to see you at the Swagbucks Birthday Event!